Packing Each item packing in polybag or a bubble bag then put in carton box . 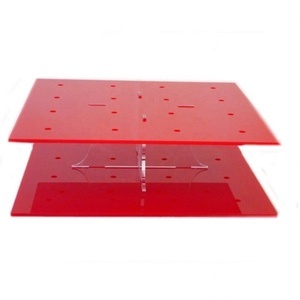 Because products each customer order are different size or shape, so we will customize packing. 5% developed products such as furniture, home decorations arts and crafts or other sharable ones are for selection. Management concept Accumulate strong international trade and a professional team with rich experience. Quality policy: assuring products quality and seeking to satisfy clients constantly. Quality objective: customer satisfactory rate exceeding 95%. 8 YRS Quanzhou Fengze Huadong Plastic Co., Ltd. If there is a shape / design you would like and its not listed, please email us. 5)Innovative design,skillful working and better service. Any other questions, please do not hesitate to contact us.Thanks. 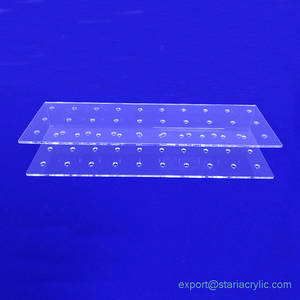 Product name Acrylic products Material High quality import acrylic Thickness 3mm, 5mm, 8mm, 1cm etc. Design Dimension Customized Accepted Color As your request Technology Laser Cut, Machine and Manual Bend, Certification ISO9001,CE Package Bubble inside and 1.2cm three-ply board outside or carton Application Products display( shoes, cloth, electronic products, sunglass, Gift, wallet, brochure, business card, Christmas ball etc. ) Service Within 24 hour reply LOGO print Acceptable Company Over 50 workers Supply Ability 10,000pcs/ Month Price Payment Bank to Bank, PayPal, Western Union, Money Gram Leading Time 3-4 working days, subject to the order quantity Delivery Way DHL, UPS, FedEx, Door to Door service by ship and by air MOQ: 100pcs Delivery port Ningbo or Yiwu Quotation Based on the size, quantity, design etc. 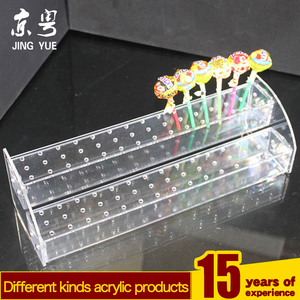 Love Theme and acrylic Material Lollipop Display Stand Material Acrylic Color Clear or on request, As your pattern No. 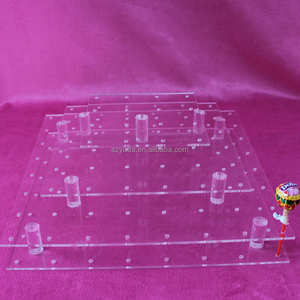 Show room of Lollipop Display Stand : Package of Lollipop Display Stand : Unit Packing 1.Standard:1pc/polybag(bubble bag) 2. OEM package is acceptable. 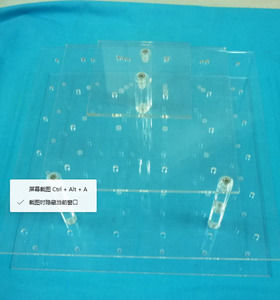 State package 1.Inside of master carton will be surrounded with at least 15mm thick foam accordingly Shipping of Walsame Lollipop Display Stand : We will always be here whenever you have any needs of our pro ducts. 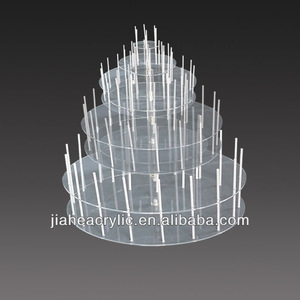 Alibaba.com offers 2,506 lolly stand products. About 28% of these are display racks, 1% are other toys & hobbies. 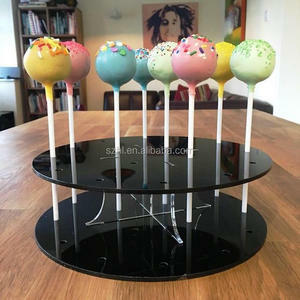 A wide variety of lolly stand options are available to you, such as acrylic, plastic. You can also choose from free samples, paid samples. 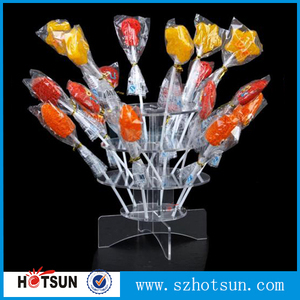 There are 2,506 lolly stand suppliers, mainly located in Asia. The top supplying country is China (Mainland), which supply 100% of lolly stand respectively. 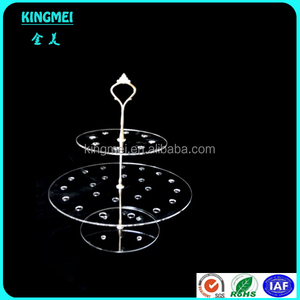 Lolly stand products are most popular in North America, Domestic Market, and Southeast Asia. You can ensure product safety by selecting from certified suppliers, including 325 with ISO9001, 273 with Other, and 62 with ISO14001 certification.